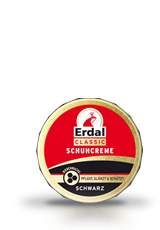 Suede Care Erdal Suede Leather Care with a long-term protection formula. 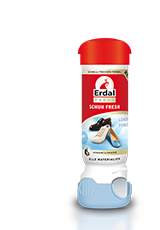 Leather Care Wipes Erdal Leather Care Wipes for on-the-go. 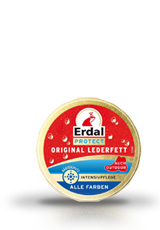 Original Leather Grease Erdal Original Leather Grease with a waterstop formula. 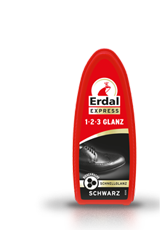 The ideal intensive care for all heavy-duty leather footwear such as work, trekking and football shoes. More information. 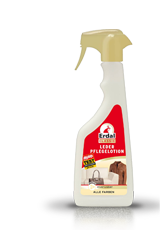 Effective impregnation for all smooth leather and suede leather items as well as textiles. More information. 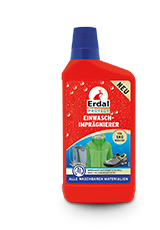 Wash-in Impregnator Erdal Wash-in Impregnator with deep protection against moisture - for easy use in the washing machine. 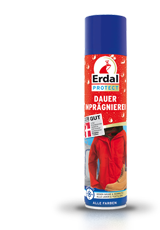 The effective impregnator for work, sport and outdoor clothing, as well as washable shoes and awnings. More information. 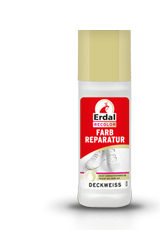 Color Repair Erdal Color Repair with whitening formula. 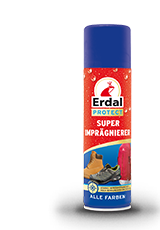 A highly opaque product for all white textile and smooth leather shoes. More information. 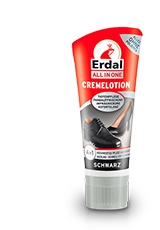 All in One Cream Lotion Erdal All in One Cream Lotion with real almond oil and silk proteins. 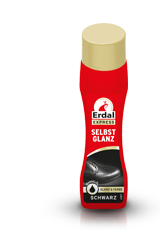 An all-round product for smooth leather shoes. More information. Welcome to the consultancy area. 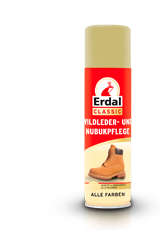 concerning shoe and leather care. shoes – from A to Z.